The Toms Warehouse Sale Weekend 2 is here! 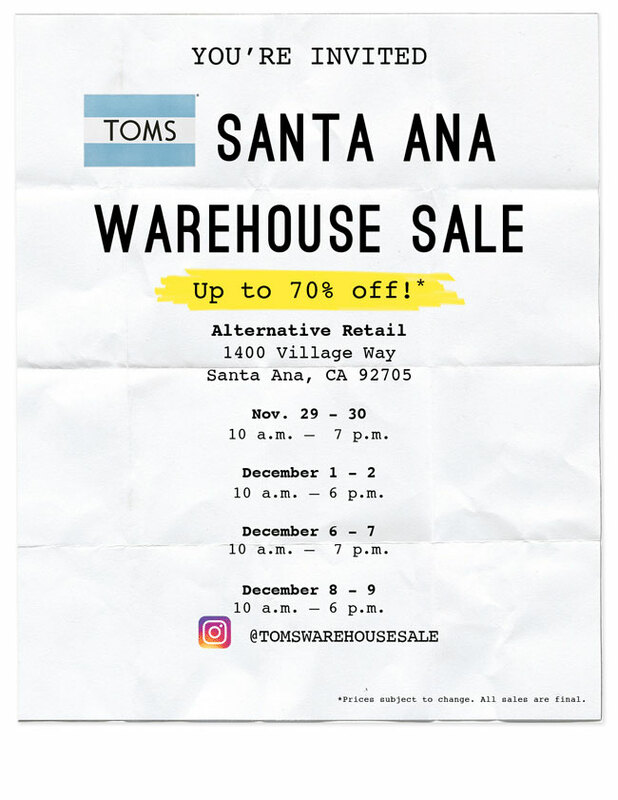 Shop up to 70% OFF at the TOMS Warehouse Sale. Find one-of-a-kind deals on Women's, Men's, Youth and Tiny TOMS shoes. Choose from over 25 different styles of Men's & Women's eyewear! This event is free and open to the public. We accept cash, debit and credit, including Visa, MasterCard & Discover. Sorry, we do not accept American Express. *Please note: Prices subject to change. All sales are final.